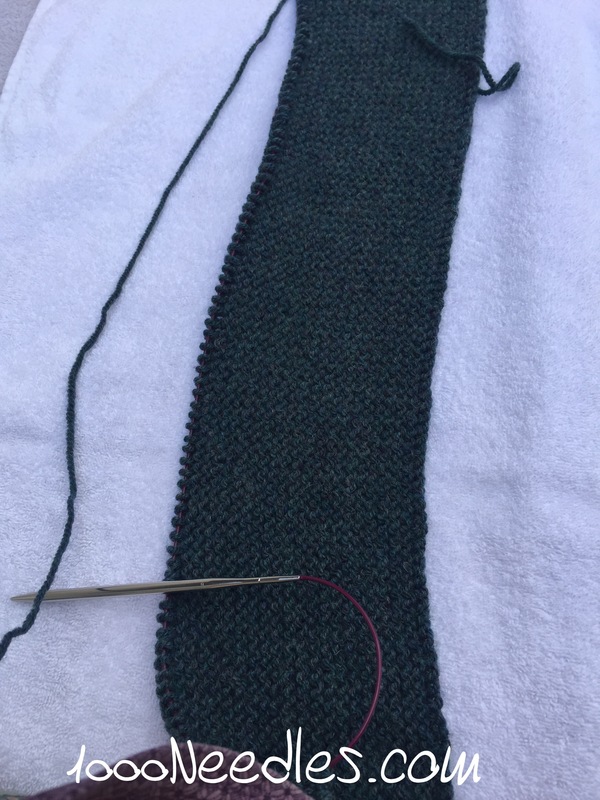 I am loving the sock knitting right now. I know last week my hands, wrists, arms, and elbows were hurting so I took a short break. I still knit every day I just didn’t knit as much as I was knitting. Even so, I am progressing nicely in all my projects. 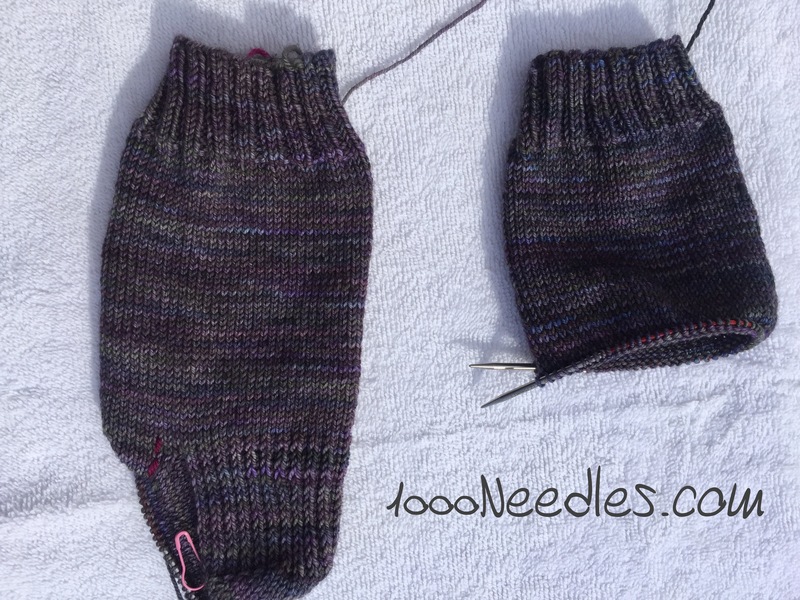 For the magenta/gray socks I was able to get the decrease done and now I’m back to easy knitting until the toe. For this project my decrease was done on every row. 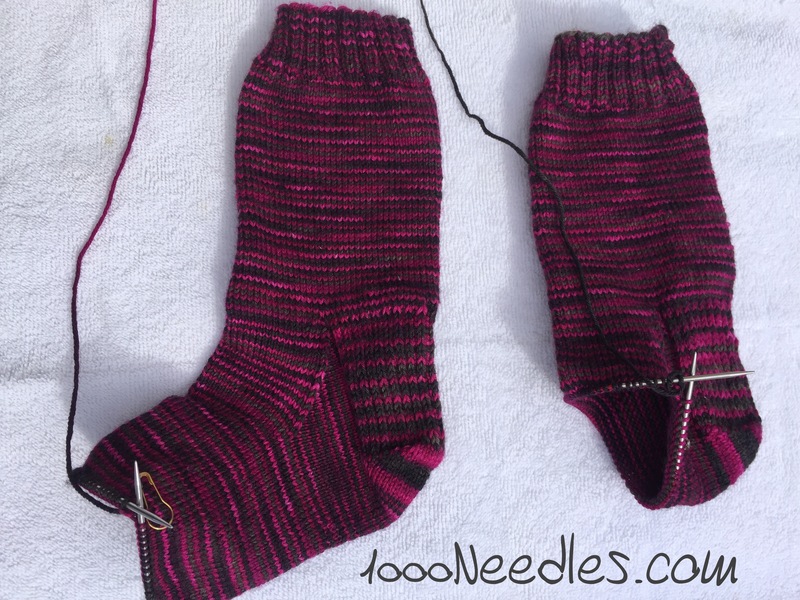 I think it is too abrupt and on my purple socks I am decreasing every other round. It takes a little more managing as I have to write down which row I’m on and what I’m doing but so far I’m loving it. 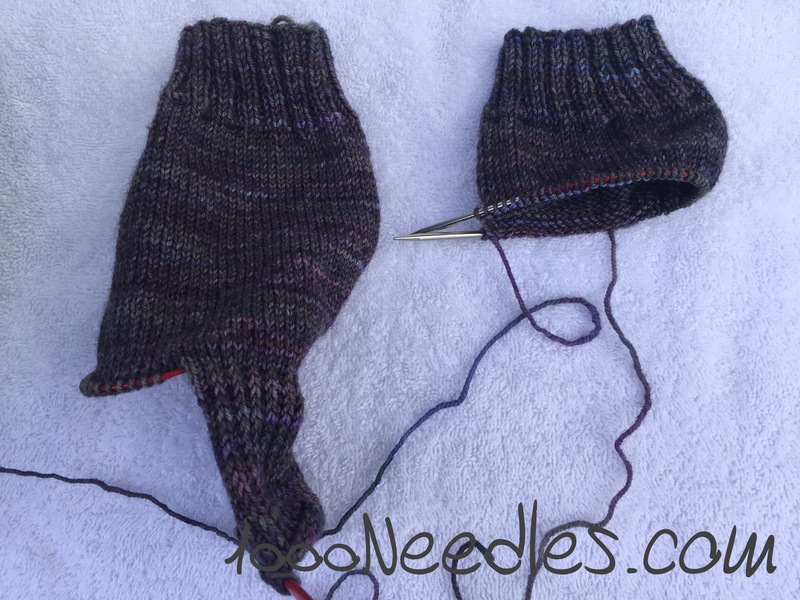 As you can see, I started the decrease on the left sock and the right sock only has a few more rows before I start the heel flap. I progressed a little bit by putting a bit more rows on the left sock but it doesn’t look much different than this picture so I didn’t bother taking a new picture. However I did want to say that the little progress was in no means my fault. 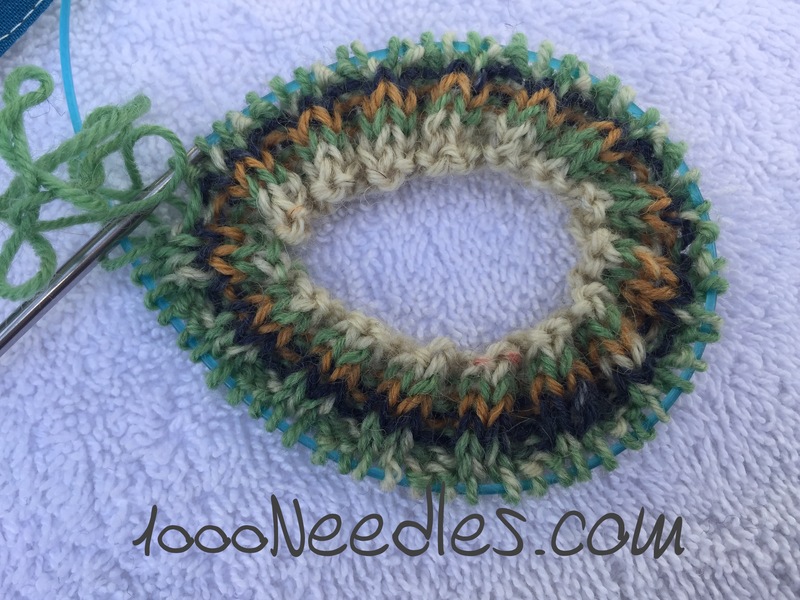 I bought another #2 hiya hiya sharps 9-inch circulars. 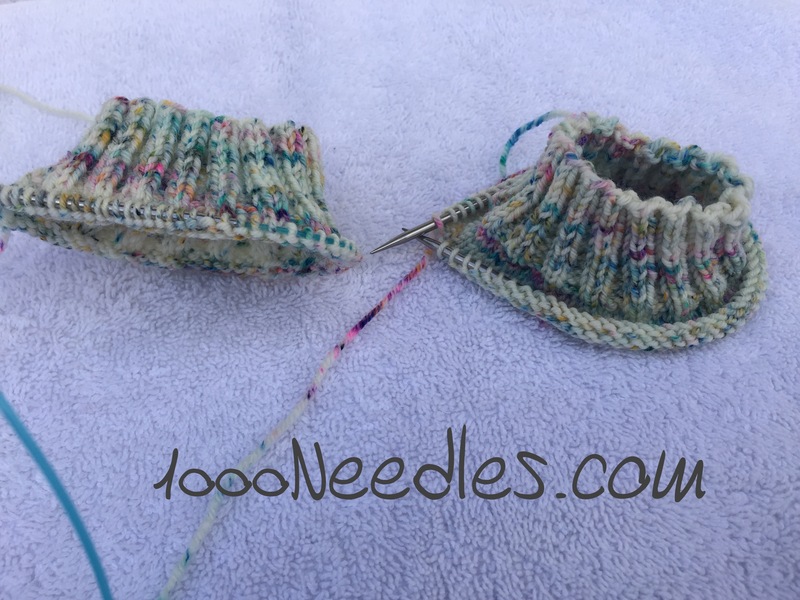 I love these for sock knitting and I only have 1 right now. The sock on the right is on them. So I bought another one to put the sock on the left. 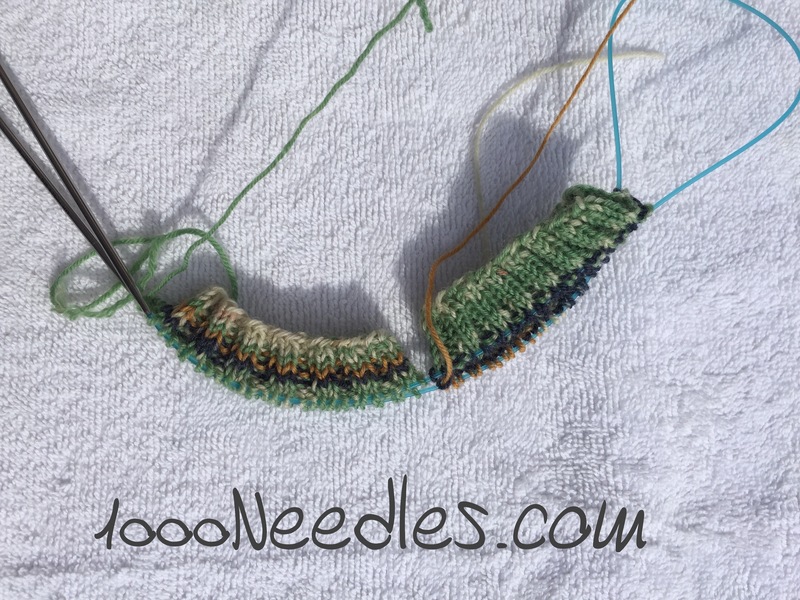 I like knitting socks concurrently because it helps prevent the second sock syndrome (which is when you finish 1 sock but never the 2nd one because of boredom or just because). Anyway, I got the set I ordered and started using it. Within a couple of days I was not happy. 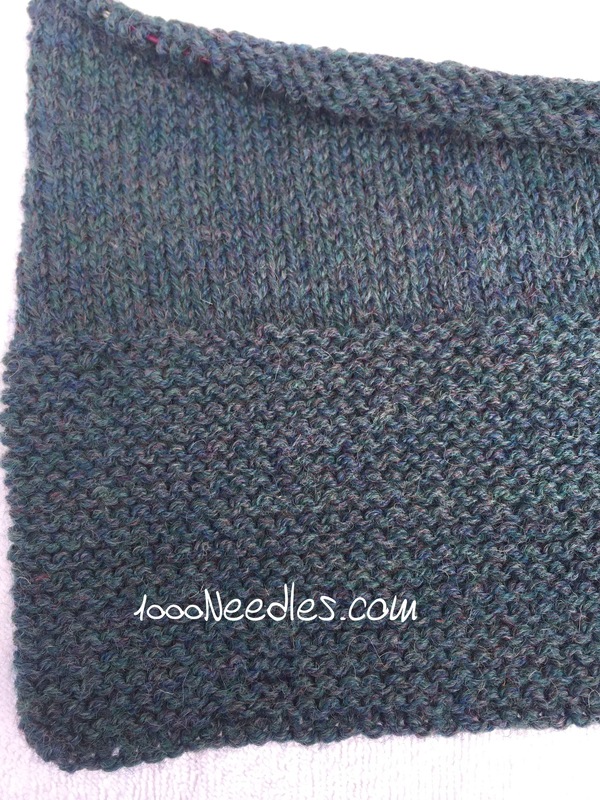 There was something wrong and the yarn kept snagging on the join between the cable and the needle. I was not pleased. I contacted the shop I purchased it from and I already sent it back to be returned but that’s another $$ in S&H that I had to spend. Obviously they recommended sending it regular mail for 46 cents but I wanted to be able to track it. That’s one reason I should buy my needles at the LYS. Unfortunately my LYS didn’t have 9 inch circulars the last time I was there and I didn’t want to wait for their next shipment. I think next time I’ll be more patient. It’s about 10 inches now. I’m enjoying this. The color is grayed out above but you can see how much I’ve done from last week.